John Wren looks at corruption within the LNP, not just among individuals but also how the Banking Royal Commission was affected. I’VE ALLUDED TO corruption with the Liberal Party many times, but over the last week it has become impossible to ignore, so this week’s column is going to focus on it. As the party becomes increasingly desperate it is resorting to more and more underhand tactics. The ersatz PM has neither the party support nor the numbers in the house to address it or even speak out about it, so those engaged in corruption are having a field day. The week started with a revelation about WA MP Ian Goodenough, another Pentecostal Right-winger. Goodenough is a director of Australian Agrimarket Pty Ltd, a company that brokers export seafood deals and makes commissions for doing so. 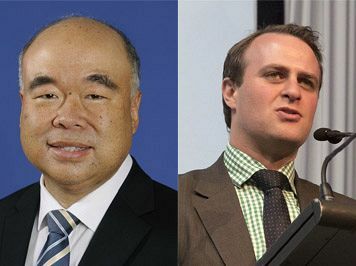 Goodenough used his parliamentary position to organise a tour by Asian businesspeople to facilities in which his business has an interest. A clear conflict of interest. When challenged, Goodenough claimed he did it as a “private individual”, not an MP. This of course was the same excuse that Gold Coast MP Stuart Robert (yet another Pentecostal) used when he found himself in China advocating for a company he, too, had an interest in. Then PM Malcom Turnbull sacked Robert for it. Morrison, of course, being spineless and sans-standards will not act on Goodenough. He’ll just ignore it and hope it goes away. The standard you walk past is the standard you accept. The Banking Royal Commission, of course, presented its report and this, too, was clouded by corruption within the Liberal Party. The banks make huge donations to both the Liberal and Labor Parties, although the Liberals generally receive more. There are also substantial undeclared donations to the Liberal Party in the form of event sponsorships, facilities hire and so on. For example, if a bank were to hire a venue for a Liberal Party event, the venue hire, catering and other costs would be paid directly by the bank and accounted for as “marketing expenses”. These do not get declared to the AEC but can be worth many tens of thousands of dollars. I’ve long held that almost all corporate donations are bribes. My rationale being that no for-profit company spends money without expecting a return on its investment. Therefore, a donation to a political party must have an expectation of something in return — looking the other way when the banks act immorally, illegally and unethically for example. Is this why Morrison voted against the Royal Commission 26 times? His party was effectively being paid to ward off scrutiny by the banks. It was revealed during the week that the only reason Morrison eventually capitulated was when he received letters from the banks instructing him to do so. This begs the question: who does the Liberal Government work for? The Australian people who pay their wages or the donors who fund them and their parties? Given Morrison held out for so long, I think the answer is clear. It is corruption. The Royal Commission itself, when it was called, was significantly watered down to provide a level of protection for the banks. More evidence of the embedded links between the Liberal Party and banks. Although it uncovered substantial misdeeds, it really only scratched the surface. Nor did it recommend criminal charges against individuals. The report was tabled to the Government’s senior accountant, Josh Frydenberg, with Commissioner Hayne refusing to shake Frydenberg’s hand or give any positive photo opportunity, indicating the near total distain the commissioner has for Frydenberg and his party. Clearly, Hayne felt hamstrung by the terms of reference and wanted to delve much deeper than he was allowed. The report was to be made public on Monday giving the Government the weekend to review its contents and come up with a response. The banks’ share prices spiked before the report was released. It’s very clear that the report was somehow leaked and that there was some insider trading as a result. Someone within the Libs obviously knew that the report was not as bad as expected (for the banks). More evidence of corruption. No one is expecting the Liberals to act strenuously on the Royal Commission’s recommendations. Again, they are too dependent of the banks’ support. Frydenberg used the weasel words “we will take action” — whatever that means. Only the incoming Labor Government can be expected to implement the report’s recommendations in their entirety. Bill Shorten has committed to this. There is also a very strong push within the party to establish a second commission to go where Hayne’s commission was unable to go. To add insult to injury, the Liberal Government has also committed to setting up a taxpayer-funded redress facility for those ripped off by the banks. Think about this; the banks ripped off taxpayers, so now it’s taxpayers who are paying the restitution back to themselves. Again, this is Scott Morrison continuing to protect and defend his donors. It is corrupt. The banks should make the redress themselves. And the final piece of this week’s Liberal Party corruption fell into place with the Liberal Government’s ongoing attack on Labor’s franking credits enquiry, led by the Liberal’s IPA fanboy, Tim Wilson. I touched on this in last week’s column, but this week it blew up. Apart from the obvious and corrupt use of taxpayers’ funds to mount a direct party political attack on Labor’s franking credits policy, it also emerged that the “enquiry’s” website was being used to harvest Liberal Party memberships. The website is obviously partisan because it refers to a so-called “retirement tax”. This attack is redolent of the attack on the “carbon tax”, that also wasn’t a tax. There is no such thing, of course. The Murdoch media and Peter Costello’s 9 News were running the Liberal Party line that it is a tax on retirees, even dredging up “members of the public” who will be hurt by the policy. Jon Gaul was just such a member of the public. It then emerged Gaul is a Liberal Party lobbyist veteran who now lives a very comfortable, partially taxpayer-funded lifestyle on the NSW South Coast. How convenient. But worse was still to come. It then emerged that another high-profile supporter of the campaign against Labor’s policy was none other than Geoff Morris, the Chairman of Wilson Asset Management. Wilson was overheard (and recorded) discussing how he and Tim Wilson could collude on the campaign. It is also likely that Geoff Wilson funded the Stop the Retirement tax website. But wait, there’s more. It then transpired that Tim Wilson owns shares in WAM, meaning he has a direct pecuniary interest in stopping the changes to the franking credits policy. This is in direct contravention of article 231 of the Parliamentary Standing Orders. Not only that, but we then found out the Geoff and Tim are cousins. And just when we thought it couldn’t get any worse, it then emerged that there is a whole orchestrated astroturfing campaign being organised by A.C.T. Liberal Senator Candidate, Robert Gunning. Scott Morrison has refused to sack Tim Wilson. When corruption of this level is so entrenched and the PM refuses to act on it, it is a severe indictment on Morrison, the Liberal Party and the Government. It demonstrates that Morrison has no standards and will do whatever it takes to remain in power. The fish rots from the head and boy, does this one stink. The election can’t come soon enough. Wilson himself has severely tarnished his political career. His standing in his Goldstein electorate is now at rock bottom. I have well-to-do family in his electorate who tell me no one they know will be voting for him in May. If a high-profile Lib-lite independent (like Kerryn Phelps) emerges, they could knock him off. Based on the Victoria State Election results, even Labor could win the seat, although I think this less likely. Either way Wilson is finished. As well as dragging the Liberal party to the absolute bottom, he has compromised all Parliamentary Committees.